Sierra Leone, Freetown, October 2011.\n\nMatta Moina had an epileptic fit and fell into the kitchen fire. Tht was the time of the civil war and she then received the first medical aid after days. She had plastic surgery on board. 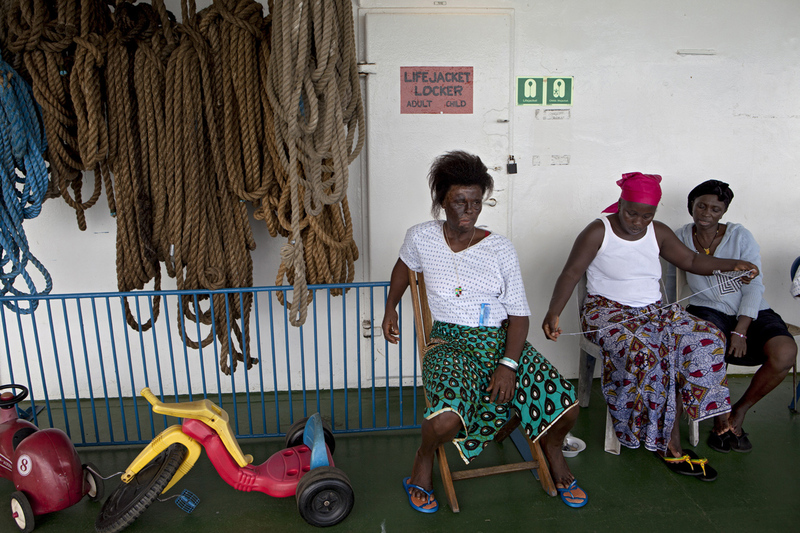 The patients able to go out of the wards are resting on the Deck 6 balcony every afternoon.